I recently had lunch with some friends and at some point the conversation turned towards Instagram. 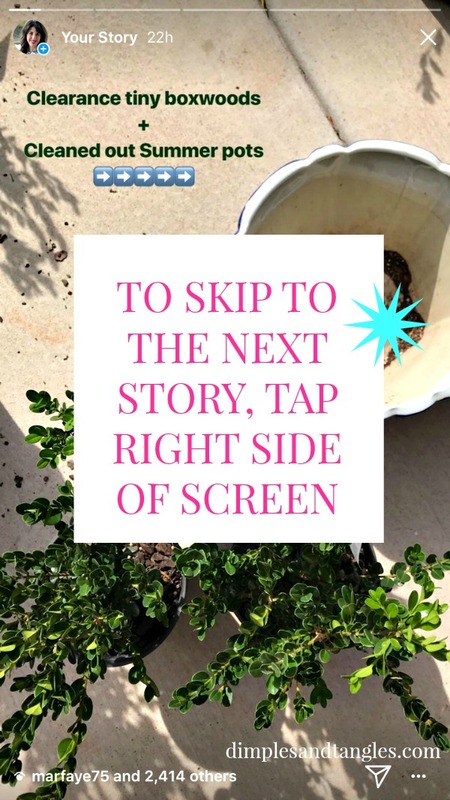 As we talked about Instagram stories, it became evident that they weren't aware of a few tricks I knew to make viewing stories a bit easier and more enjoyable. I thought for sure everyone knew these things, but since my smart friends didn't, I thought others might enjoy these tips too. I shared them on my Instagram stories a while back, but those expire so quickly I decided to share them here for everyone who might not have caught that round of stories. 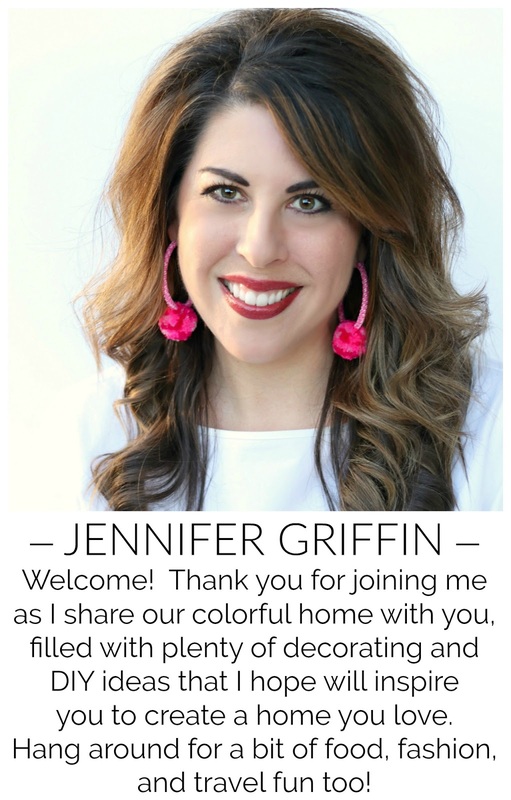 If you're Instagram savvy and already know all of these tips, fantastic! 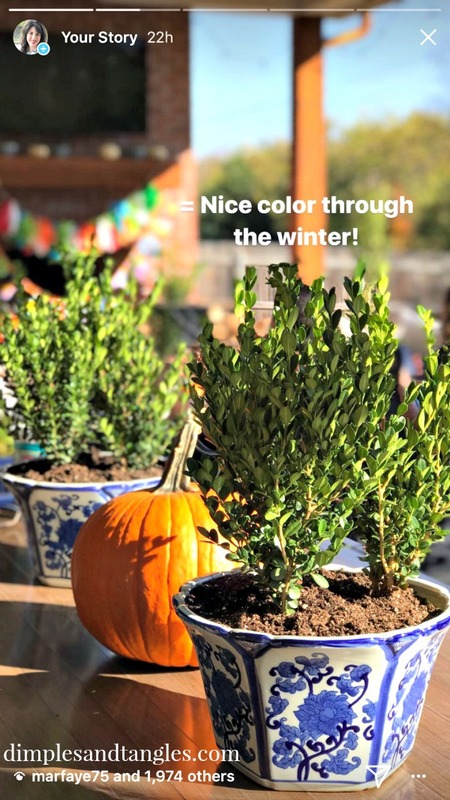 Scroll down to the bottom of the post for a winter gardening tip, and I'll see you next time! 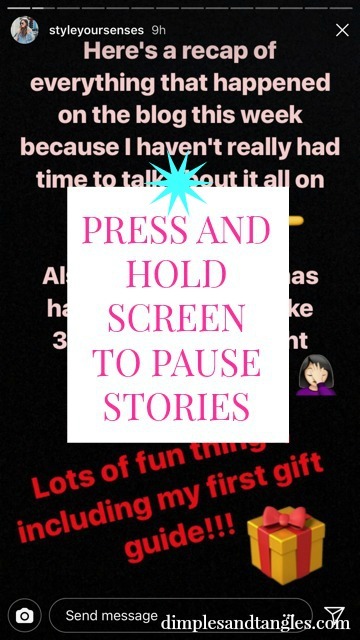 If you feel like you could use some help with Instagram stories, keep reading. First of all, here's the most basic tip. 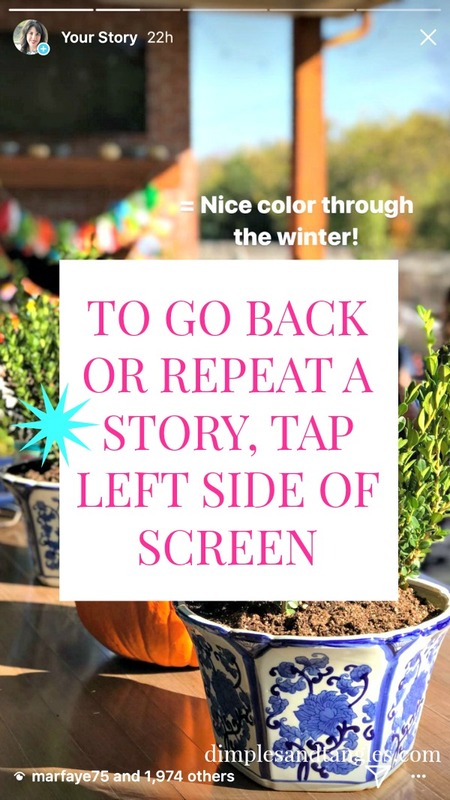 If you want to skip a story you're watching, just tap somewhere along the right side of the screen to move on to the next story. Just take care not to click on a link or tag in that area that will take you somewhere else. Now, if you want to go back and see a story you just watched again, tap somewhere along the left of the screen to go backwards. 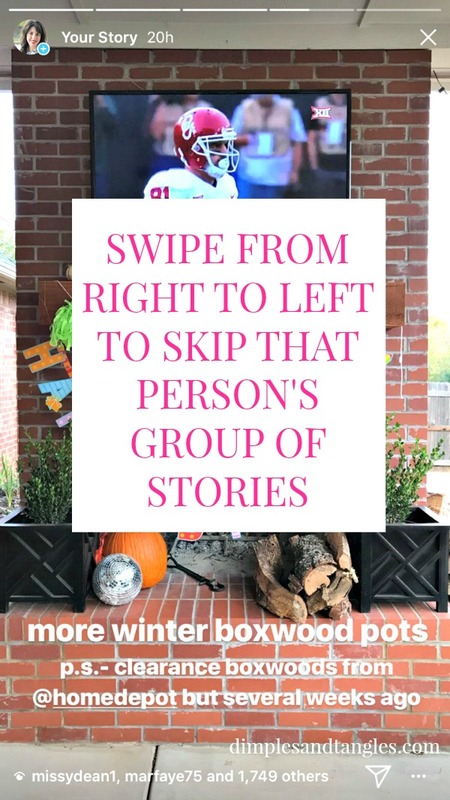 If you come across a story that you'd rather not watch, just swipe from right to left to skip that person's entire group of stories and move on to the next person's stories in your feed. 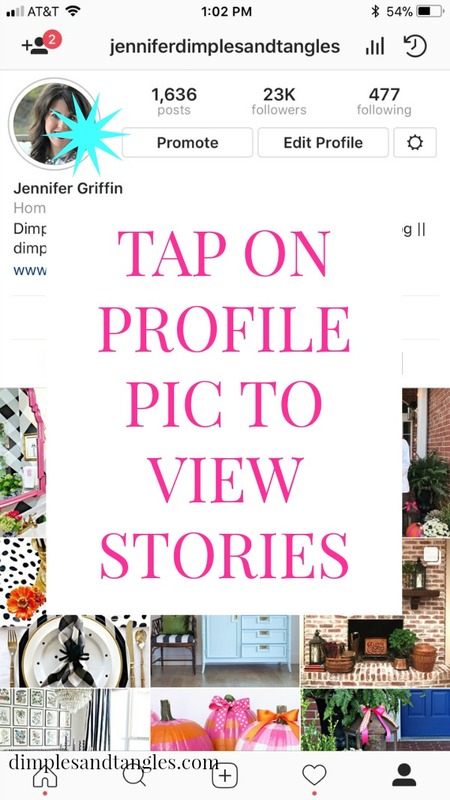 Lastly, did you know you can watch someone's stories even if you don't follow them? Search and find the person's profile, then just click on their profile picture. If they have any current stories you'll be able to view them there. This is also helpful if you've already watched the stories from someone that you follow, but want to go back and see them again. As long as they haven't expired, you can access their stories again by going through their profile pic. 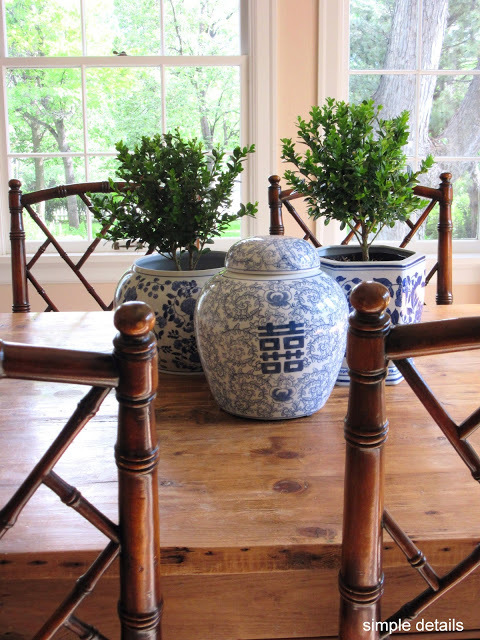 A few weeks ago I stumbled across boxwood shrubs that were 75% off at Home Depot. I loaded up on some larger and several small ones. I plan to use the larger ones for the new back yard beds that we're still filling in, but first I thought they could provide some color through the Winter in all of the pots I've cleared Summer flowers out of. 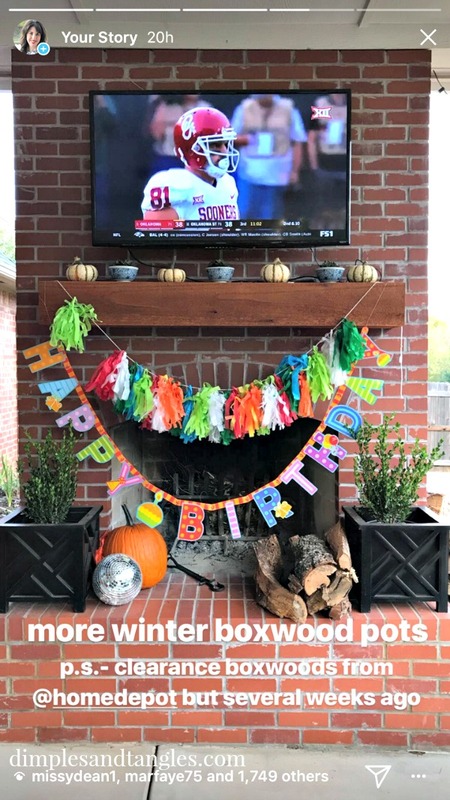 I used a few in my Fall Front Porch decorations too. We'll keep them watered through the Winter and they should be ready to go when we're ready to plant them in the ground at some point. 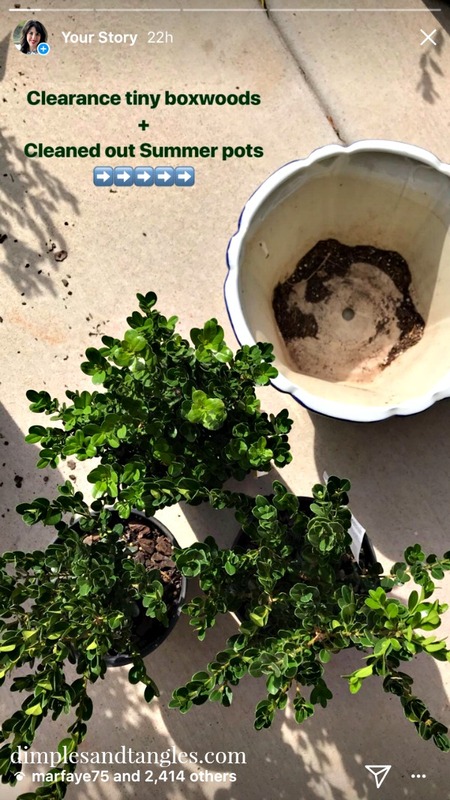 My friend Pam always does the prettiest borders and potted topiaries with her tiny boxwood plants, so I have some of those projects in mind with these too. I'm dying to know, did you already know those IG tips? And what do you fill your pots with through the winter? REMEMBER: There's a slight difference with this new design if you're wanting to comment. Just click on the speech bubble icon right below this box and it will open the comment section. Thanks! I know almost nothing about instagram so this helps me a lot. Thanks for posting this! Super, I'm so glad to hear that! Some pots we put away for winter (basement), but I have pansies in a couple which will last through winter and I have a few shrub type plants in others also. I have a few with periennels that I cut down to the dirt and stick intersting stuff in there like a grapevine tree, etc. As for instagram, probably alot of people don't know those tips because I think alot of people don't do the stories.I don't know how people have time for all that! I limit my time social media, but I know bloggers have to use all that stuff. I plant pansies in my beds but never really do them in pots... I should! Thanks for the tips, Tina! Stories can definitely take up a lot of time, but it's fun to check in when I have an extra few minutes. I enjoy getting to know those I follow a little more "personally" through them. Thanks for the tips! The only one I knew was the last one so I learned something today - yay! Yay! I loving learning new little things like these! Glad it helped, Shelley! No, I did not know those Instagram tips...thank you!! 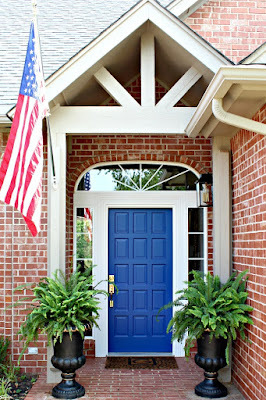 I usually fill my pots with pansies & snaps. We usually have mild "winters" in Southeast Texas. Yes, you're fortunate with your mild winters, not too many worries about a freeze there! I didn't know those tips, especially the one about being able to freeze the screen so you can read the text. I use to take a screen shot to do that but then I was left with a photo I didn't need. Thanks! I also want to say you and your family are an inspiration of love and faith in our mixed up world. Thank you for that and God bless. Isn't the "pause" feature the best? I always had the hardest time trying to speed read some of those stories! ;) And thank you for your encouraging words! I'm confused. I don't see stories on Instagram, just pictures. I didn't know people posted stories on Instagram??? ?